There’s a certain magical element to the fall season, one that’s symbolized by that moment when, all of a sudden, everything around us must be autumnal. 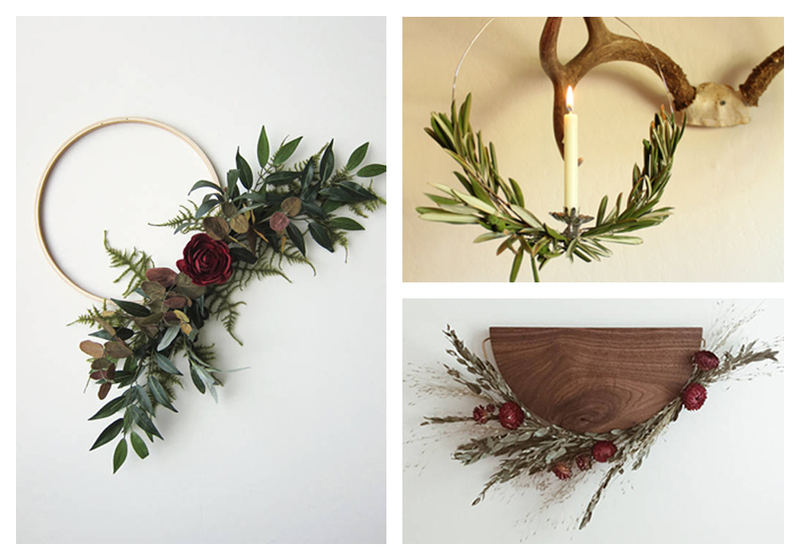 We’ve already dragged out the sweaters and scarves, and now we’re in the mood for some new home decor. Luckily, Etsy’s fall home decor trend guide is here to inspire us to make all the fall-themed changes. To determine what trends are hot for fall, Etsy compiled the top searches within the Home & Living category over the past eight weeks. Below are several trends that may spark your autumn flame as they help you upgrade your home for the season of pumpkin, spice, and everything nice. 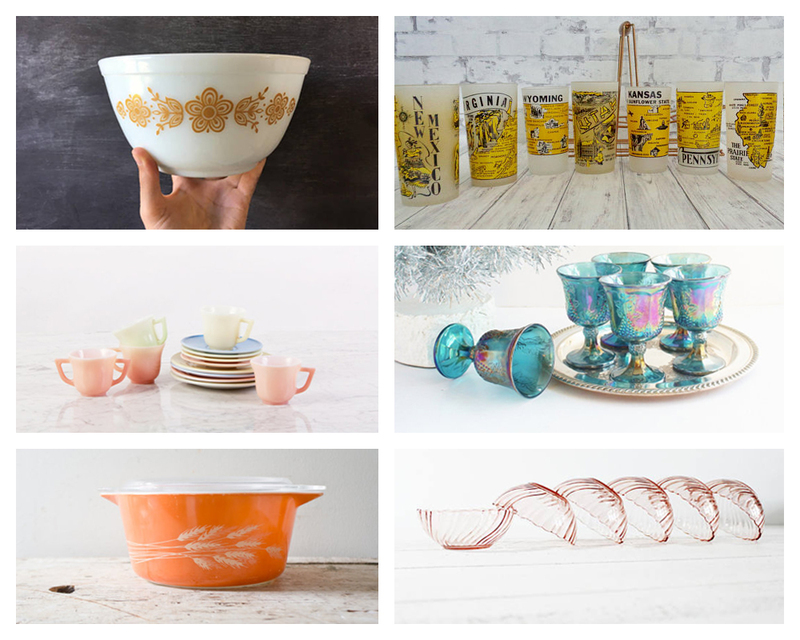 The first trend on the Etsy guide is vintage glassware — the sturdier and more colorful, the better. Consumers have been on the hunt for vintage Pyrex bowls, textured Depression glass, opaque milk glass, and opalescent carnival glass. Like the Etsy trend guide statement says, vintage glassware makes you think of grandma’s hearty cooking, and what’s more comforting than that? 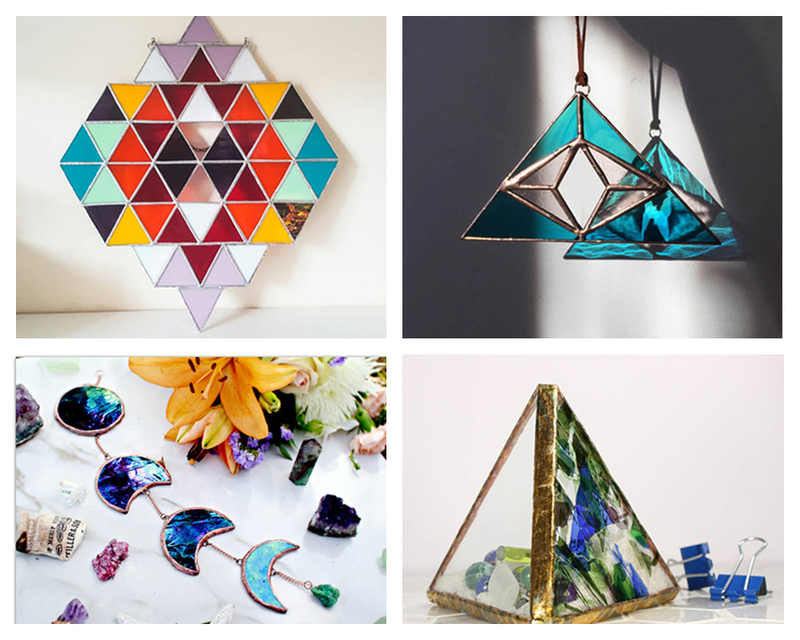 Etsy customers are also searching for stained glass decor pieces. These colorful pieces can add dimension to any room when hung in a window, and the stained glass style harkens back to the days of old when the grand churches, castles, and Victorian manses were being built. The moon phase piece is especially perfect for those witchy ones amongst us. 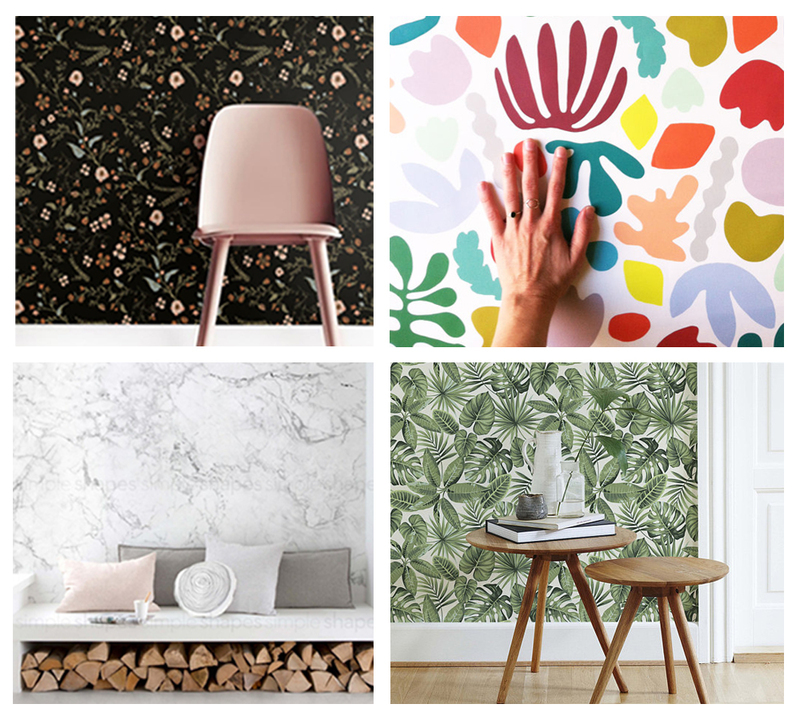 If you’re looking to change up your wall scenes, Etsy recommends checking out statement removable wallpaper like those below. Go dark and floral, loud and colorful, sleek and streamlined, or all-around tropical. But if you’re more in the mood to keep things on the simpler side, check out a fall-themed wreath to bring the outdoors in. The asymmetrical look is in this season and whether you’re into florals, botanicals, or a little bit of both, Etsy can direct you to your perfect match. Speaking of bringing the outdoors in, Etsy also noticed that consumers are all about the cabin vibes. Perhaps the idea of cuddling up by the fire in your own cabin in the woods is appealing to cool weather lovers. 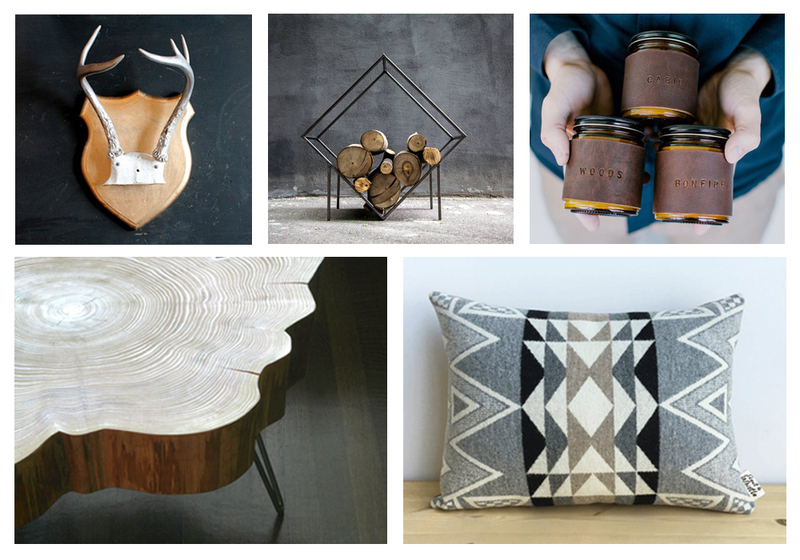 The natural woods and bold, chunky designs are warm, inviting, and can take the chill out of any crisp day. And finally, what’s more inviting than a super comfy seat to curl up and read a good book in? Stylized seating is big on Etsy right now. 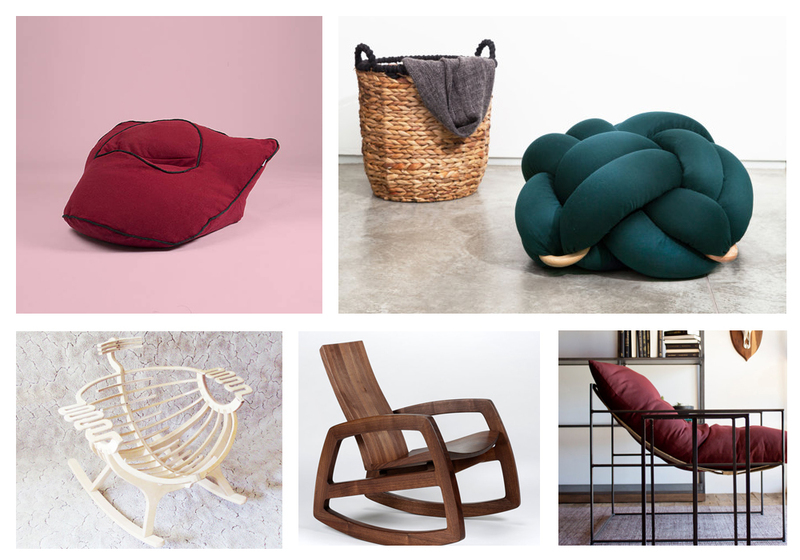 Floor cushions, accent chairs, and bean bag chair alternatives are on the rise, and classics like rockers and lounge chairs are getting modern makeovers. See anything you’d like to work into your autumn home decor? Pop over to Etsy and take yourself on a little shopping spree to get those fall vibes flowing.